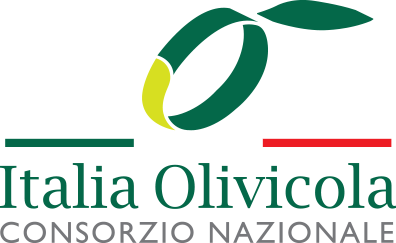 There are more than 700 olive varieties in the world that are used to produce olive oils with unique taste and flavour characteristics ranging from fruity and nutty to prudent and spicy. The best way to pick your favourite flavour is olive oil tasting, which can also tell you a lot about the quality of the product. In Europe, in order to be labelled ‘extra virgin,’ olive oil must meet strict standards, set by the International Olive Council (IOC). While the chemical composition of the olive oil is tested in accredited laboratories, its sensory (fluidity, aroma and taste) characteristics must be approved by a panel of professional tasters. The colour of olive oil is not indicative of its quality. It may vary from dark green to golden yellow, depending on the climate and the ripeness of the olives. Therefore, professional olive oil testers use standard cobalt blue glasses to disguise the colour of the product. The fluidity of the oil may tell you more about its composition. To test for fluidity, pour about two tablespoons of oil into a glass beaker, swirl it around, then hold it up to the light to observe the viscosity of the oil. Extra virgin olive oil has a medium to low fluidity and appears thicker due to a high amount of healthy monounsaturated fatty acids. In contrast, higher fluidity is associated with polyunsaturated fats, found in lower quality olive and seed oils. Read more about olive oil types. The smell of high-quality extra virgin olive oil is fruity, fresh and grassy. It may remind you of freshly cut herbs, a leaf rubbed in your hands, a green tomato, an artichoke, an apple or an almond. Any oil that has an unpleasant rancid, mouldy or metallic odour is most likely defective. Before the olfactory test, warm a glass containing the oil in your hand, while covering the top with the other hand to maximise the volatile aromatic components. Then bring it to your nose and inhale slowly and deeply. The taste of extra virgin olive oil is often reminiscent of fresh olives, with some fruity or grassy notes, and it has bitter aftertastes that should cause a pinching feeling in the back of the throat. However, the bitterness is actually a good sign – it indicates the presence of natural polyphenols (antioxidants) that can protect our bodies from oxidative stress, lowering the risks of many chronic diseases. To conduct the tasting, sip a half- to whole teaspoon of oil and use your tongue to distribute it throughout your mouth. Inhale some air through your mouth and breathe out through your nose to send the aromas into your nasal passages. Savouring the oil for 20-30 seconds is enough to be able to evaluate the different aspects of the taste (bitterness, spiciness, and astringency).